Piano is a Subscription Management Platform. Using the Piano integration you can collect, store and target rich information about your users subscription status. This information is collected by Permutive in real time. Note: You must have Piano installed to use this integration. Check for this by searching for window.tp in the console tab of the developer tools. If the following response is returned, Piano is installed on your site. If the below message is returned, Piano is not enabled on your site and will need to be installed before proceeding to add the integration. Once you've confirmed that you have Piano installed, setting up the integration is very simple. Before proceeding, please contact techsupport@permutive.com so we can enable the new events Piano will populate in your dashboard. 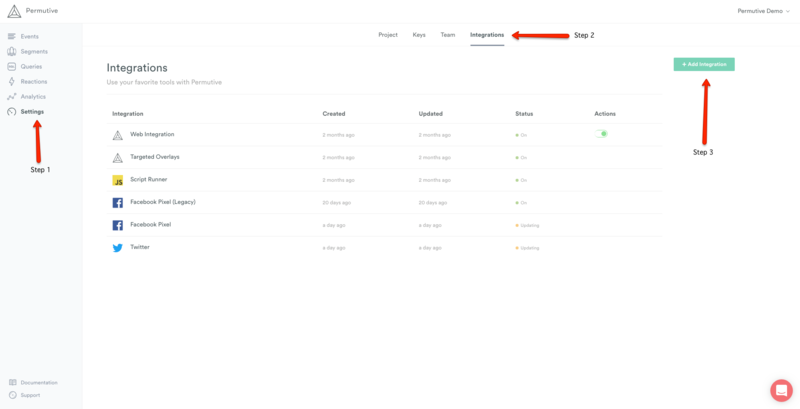 Visit the Permutive Dashboard and go to 'Settings > Integrations > + Add Integration' or use this link to go directly to the integrations page. 3. Finally, click 'Add Integration'. Your Piano events will start to collect information within 20 minutes of adding the integration. Once the Piano integration has been enabled, it will start collecting 8 events within your Permutive dashboard. These events and the properties they collect can be found in this Gist. All the events collected by this integration can be used for building segments. They will behave like normal segments for all intents and purposes and can be used for analytics, targeting and sending users into other platforms. Please contact support@permutive.com if you have any questions!